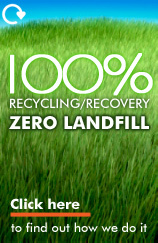 Your local Lincolnshire skip company. All the waste put in our skips or bins is taken to our own Material Recycling Facilities (MRF's) where the waste is processed and treated. The materials that can be recycled or reused are extracted and the residue left over is used as a coal fuel replacement in PowerStation's and industry power processes. "The best service at low prices!" We offer a professional and friendly service for all your skip hire needs in the Sleaford, Newark, Lincoln, Grantham, Stamford, Bourne, Boston and beyond. 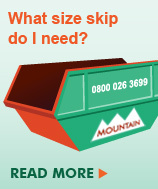 Mountain skip hire operate a fleet of 60+ vehicles which enables us to provide a truly first class service to our customers. Sleaford, Grantham, Newark, Lincoln, Boston, Spalding, Bourne, Peterborough, Stamford, Oakham, Bingham and everywhere in between!